A string of kidnappings plagues the snow-laden city of Boston while a murderer runs amok hunting and killing the unborn babies of they city’s social elite. 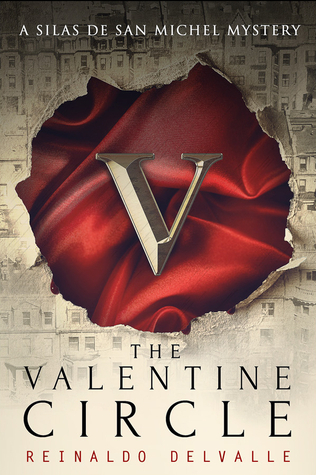 A powerful group called the Valentine Society controls the city’s police department, and the people of Boston’s last hope for justice lies in the hands of a man who mysteriously washes ashore from a distant foreign land, battered and bruised. Just a week after he is found unconscious aboard a cargo ship, Officer Silas de San Michel is thrust into a mysterious case dealing with the vicious killings of pregnant teenage girls. But what he doesn't know is that these young girls belong to the secret Valentine Society, an elite group of Boston socialites that have corrupted the city's top officials, unashamedly operating above the law. With the help of his boss, the highly intelligent Inspector Belloc, and his lovely assistant, the boisterous and spirited Miss Posy Chapman, Silas embarks on a journey that takes him inside a secret world of rules and privileges, of oppressive parents and mischievous alliances. As soon as I read the blurb for this book I knew I had to read it! I am so glad I did. Superbly dark, mysterious and suspenseful. I was glued to this book for a full weekend. It is cleverly written and is set up nicely to extend it into a series. With kidnappings, murders, beatings etc the author is certainly not afraid to let terrible things happen to his characters but at the same time it allows for some nasty, karma induced comeuppance for the villains. The darkness in the novel is balanced out with some comedic elements namely the banter between Silas and Posy. The myriad layers of mystery surrounding Silas only deepens as the story unfolds. We are only privy to glimpses of his past, as is Silas in the moments he experiences flash backs. Silas is a great character. I love the mystery surrounding him, and with his special ninja style skills, he is a force to be reckoned with. Posy is another favourite character. She may get herself into some sticky situations and get a knocked about a bit but she is no damsel in distress. She always comes back fighting and is not afraid to put herself in harms way to protect her friends. It will be interesting to see how Silas and Posy's relationship develops but I hope the author keeps the 'will they/won't they' suspense going. Their little arguments and jealousies make good reading. I am excited about this series and will certainly be reading 'The Charleston Rose' when it comes out.